Are you interested in straightening your teeth but aren't sure if Invisalign is a good option for you? Our Woodbridge, VA, dentist, Dr. Sowmya Punaji, shares some information that may help you make a decision. Invisalign improves your smile without metal wires or metal or ceramic brackets. The system uses removable aligner trays that resemble nightguards or mouthguards. When you visit our Woodbridge office, we'll create a 3D image of your mouth with X-rays, digital photographs and impressions. Using the 3D image as a guide, Dr. Punaji will design a series of aligner trays that will gradually shift and re-align your teeth. No Metal Mouth: Because the Invisalign aligner trays are clear, it will be very hard for anyone to tell that you're improving your smile. Straighter Teeth: Invisalign is very effective in treating all of the same issues that are corrected using traditional braces. 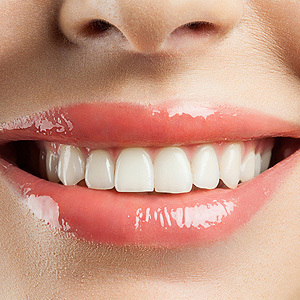 If you have a crowding or spacing problem, overbite, underbite, crossbite or open bite, you're a good candidate for Invisalign. Severe orthodontic problems may still require traditional orthodontic treatment. Shorter Treatment Time for Adults: If you're an adult, you may only need to wear your aligner trays for a year or less. Removability: Your aligners can be taken out for short periods of time. If you play a sport or plan to attend a special event, you can remove the aligners and pop them back in your mouth when the event or game ends. Although removing the trays periodically isn't a problem, you'll want to wear your trays for 20 to 22 hours most days. No Change to Your Diet: You won't have to give up the foods you like simply because you're straightening your teeth. 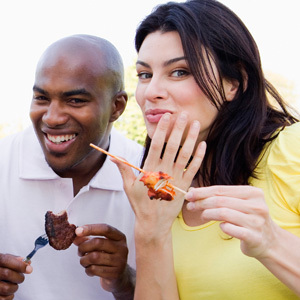 Because you'll remove your aligners before every meal, you won't have any food restrictions. Simple Oral Hygiene Routine: People who wear braces must devote extra time to removing food from their brackets and wires. 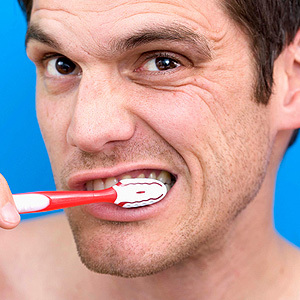 Luckily, your oral hygiene routine won't change. After you take out and rinse your trays, you'll brush and floss your teeth, then reinsert your aligners. Would you like to find out if Invisalign is a good orthodontic choice for you? Call our Woodbridge, VA, dentist Dr. Sowmya Punaji at (703) 494-4490 to schedule an appointment.